« Wanted: A couple game to have a little Star Trek fun at their wedding! 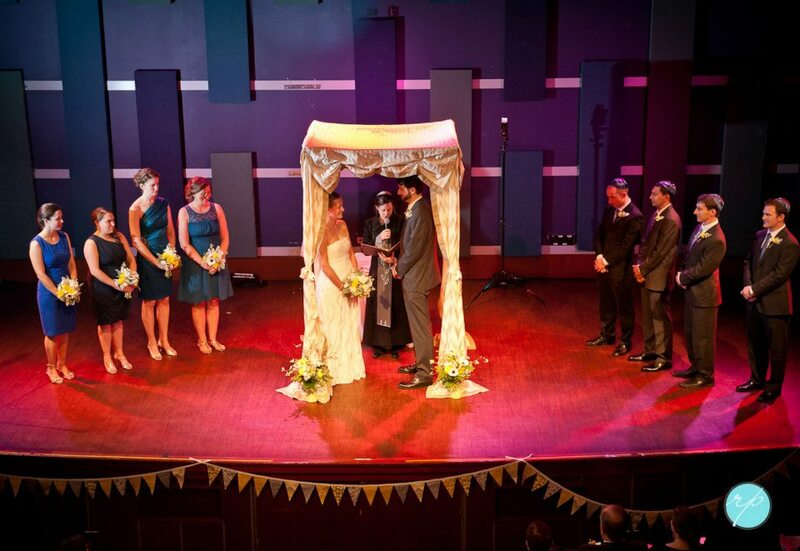 It’s possible to be married under twinkling stars in the planetarium of The Franklin Institute! It is definitely one of the most memorable and ethereal wedding venues in metro Philly. Should you write your own wedding vows? It’s a question only you can answer; it’s a challenge only about 1 in 10 couples whose weddings I officiate choose to take on. Below is an example of a great personally written vow — it’s an ideal length and strikes the perfect tone. They say love comes to those who still hope after disappointment, who still believe after betrayal and who still love after they’ve been hurt. I know this is true because I found you. Patrick – you are my best friend and I thank god he brought you into my life. I love how tenderhearted you are toward me and when you show your sentimental side, the side that comes out when I am having a bad day and lifts my spirit. I love how you love me, a pure love that I have never found in anyone else; the kind of love that is accepting of my flaws, knows my deepest insecurities and pain and continues to love me without judgment, but with acceptance and strength. In this sometimes chaotic world, I know I can find peace with you by my side (and by that I mean binge watching Netflix and HBO Go). I know with you beside me it will all be okay because of the love and friendship we share. I promise my unconditional love for a lifetime, to listen and to hold your hand, to always kiss you goodnight and to do my best to always make you feel loved. I promise to remember that although neither of us is perfect, we are perfect for each other. I promise to fight for us, and to forgive quickly, no matter what challenges might carry us apart. I promise to always find my way back to you. Finally, (because this could be a deal breaker), I vow to love you when you are 65, retired and still playing Xbox.